Special counsel Robert Mueller has closed his long and contentious Russia investigation with no new charges, ending the probe that has cast a dark shadow over Donald Trump’s presidency but launching a fresh wave of political battles. The report’s details remain a mystery, accessible to only a handful of Justice Department officials while Attorney General William Barr prepares to release the “principal conclusions” soon. The Democratic chairs of six House committees are demanding that the Justice Department release “without delay” the full report it has received from special counsel Robert Mueller. They say they expect Attorney General William Barr also to turn over all evidence Mueller has uncovered. Senate Majority Leader Mitch McConnell says he welcomes news that special counsel Robert Mueller has completed his investigation into Russia’s efforts to interfere in the 2016 elections. House Speaker Nancy Pelosi and Sen. Chuck Schumer say it’s “imperative” to make the full report from Special Counsel Robert Mueller public. In a joint statement, they say Attorney Gneral William Barr must not give President Donald Trump his lawyers or staff any “sneak preview” of the findings or evidence. The chairman of the House Judiciary Committee says Congress should receive the full report from special counsel Robert Mueller’s Russia investigation. New York Democrat Jerrold Nadler says in a statement that “We look forward to getting the full Mueller report and related materials.” He adds that “transparency and the public interest demand nothing less” because the public needs to have faith in the rule of law. Attorney General William Barr wrote in a letter to Nadler and other committee chairmen that Mueller had finished his investigation and delivered his report to Barr. The attorney general said he would update Congress as soon as this weekend, but it wasn’t clear now much of the report would be shared with lawmakers or with the public. Democratic presidential candidates are demanding that Attorney General William Barr make Robert Mueller’s report on Russia public. The Trump administration’s handling of Mueller’s report foretells big fights to come, from the presidential campaign trail to, in all likelihood, the federal courts. President Donald Trump’s lawyers say they are “pleased” that special counsel Robert Mueller has delivered his report on the Russia investigation. Rudy Giuliani and Jay Sekulow issued their joint statement within minutes of Attorney General William Barr’s letter to key members of Congress confirming the delivery and suggesting he could update lawmakers as soon as this weekend. Mueller’s report, still confidential, sets the stage for big public fights to come, including in all likelihood, in federal court. It’s not clear how much of the report will become public or provided to Congress. For 22 months, Mueller has probed allegations of Russian interference in the 2016 election and other potential misdeeds by those in President Donald Trump’s orbit. Barr has said he will provide updates on Mueller’s still-confidential findings to Congress as soon as this weekend. Special counsel Robert Mueller’s report concluding the Russia investigation was delivered by a security officer early Friday afternoon to the office of Deputy Attorney General Rod Rosenstein. That’s according to Justice Department spokeswoman Kerri Kupec. It was then delivered within minutes to Attorney General William Barr. Attorney General William Barr says he could update Congress as early as this weekend about special counsel Robert Mueller’s findings in the Russia investigation. 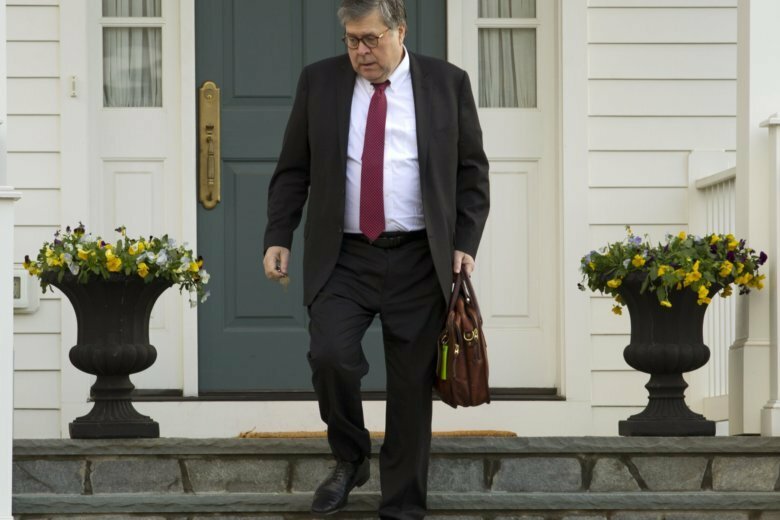 The Justice Department confirmed late Friday that Barr received Mueller’s final report. The report concludes Mueller’s nearly two-year-long investigation of Russian election interference and possible coordination with President Donald Trump’s campaign.